Imagine being able to step into someone else’s life and try it out for a while. Imagine understanding and feeling the hopes, fears and motivations of others from their perspective. 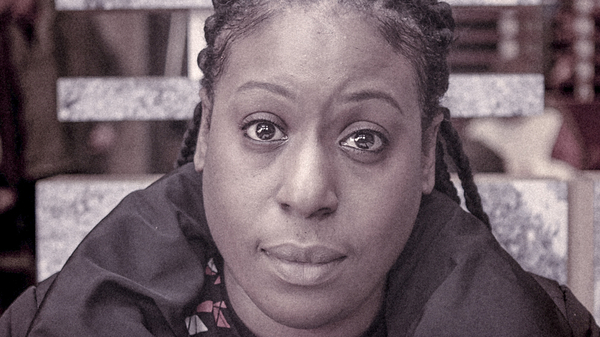 Creative Director of Splash & Ripple and Pervasive Media Studio resident Rosie Poebright invites you to experience a new interactive audio experience set in Bristol’s Broadmead about migration that takes you on a walk with Kelechi as she and her family navigate love, security and belonging in the face of adversity. Groundbreaking 3D sound will allow you to hear Kelechi’s internal monologue. The way you choose to interact and engage with the story will influence your experience and how Kelechi shares with you her feelings about of having to uproot and create new life in a new place. 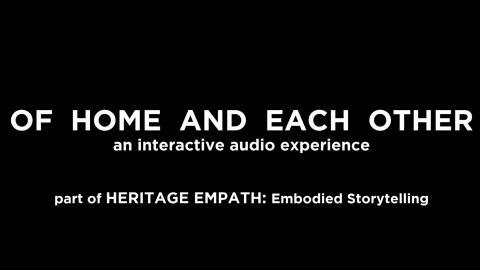 Written by Zodwa Nyoni Of Home and Each Other is a brand-new form of real-world immersive storytelling about migrant experiences, developed over two years along with a team of academics from UWE, neuroscientists, psychologists, a game designer and a sound artist. You will be given a pair of headphones to wear and a handheld device to carry. Individual slot times vary, you should arrive 5 minutes before your chosen time. A Regional History Centre and Digital Cultures Research Centre project. Funded by AHRC for the University of the West of England, Bristol and Bristol City Council. Produced by Splash and Ripple.